While it is possible to use your MIDI controller’s encoders and faders to control plug-in parameters without ever knowing the CC number each control is transmitting, there will probably come a day when you need to know the CC numbers. For me I remember this coming up when using Synchronic (anyone else remember that VI?) but there are lots of uses for which you might well not be able to rely on being able to use MIDI learn. 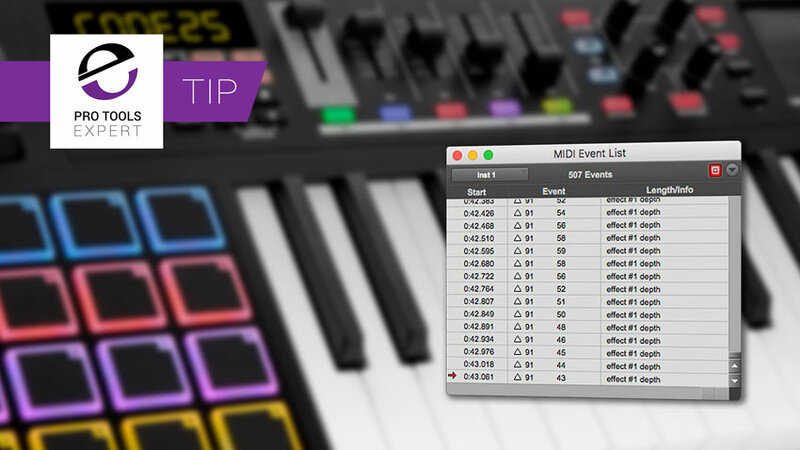 To view a live view of the MIDI data being received by Pro Tools you can simply open the MIDI event list. Access it from the Windows menu or hit Option+= (Alt+= on a PC). 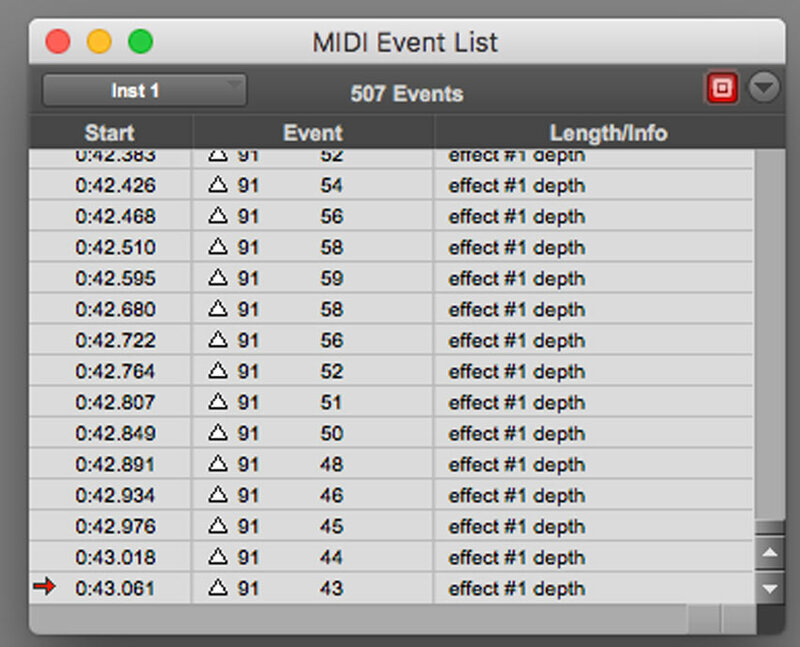 When you have this window displayed, record to a MIDI or instrument track and you will see a scrolling list of MIDI events. MIDI CCs are displayed with a white triangle icon with a controller number next to that. Easy!